Why take a FSPCA Preventive Controls Course? 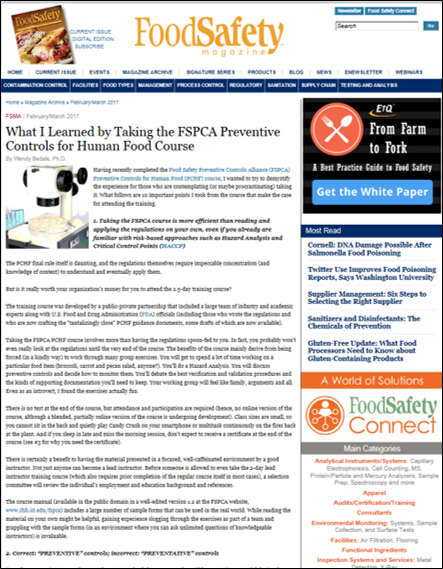 Read the article in Food Safety Magazine describing the benefits of taking the FSPCA Preventive Controls Course. The complete article can be read here.